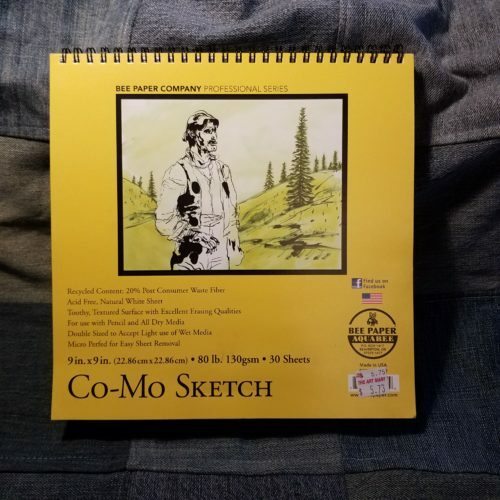 I picked up the Co-Mo Sketch 30 sheet pad on a whim at The Art Mart in Portland, Maine several years ago. Back then it went for $5.73, or roughly 20 cents a sheet. What I can find online is comparable in price. The paper is toothy and has a lovely evenly rough texture. It is a perfect sketching paper for pencil, colored pencils, and even thicker nibbed pens. 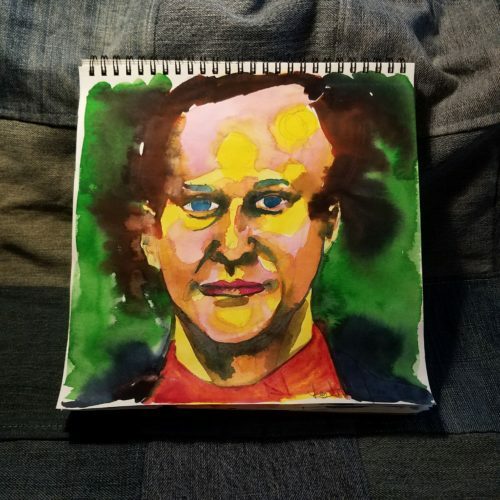 I did a quick sketch with a medium nibbed fountain pen to good results. 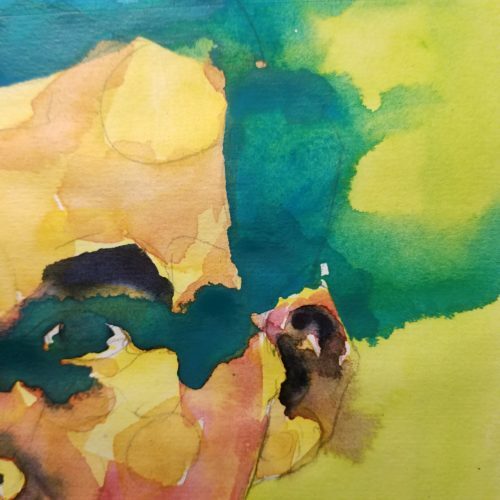 The paper shines with the addition of watercolor washes. The cover touts it as good for light washes. 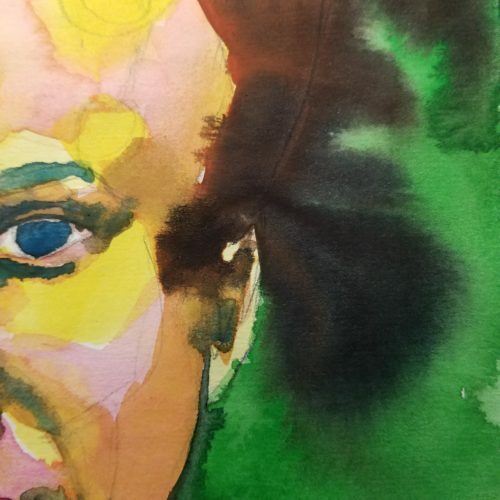 Well as you can see in the videos for my #100daysproject, I’m hitting that paper with a lot of wet sloppy color. It handles it like a champ. 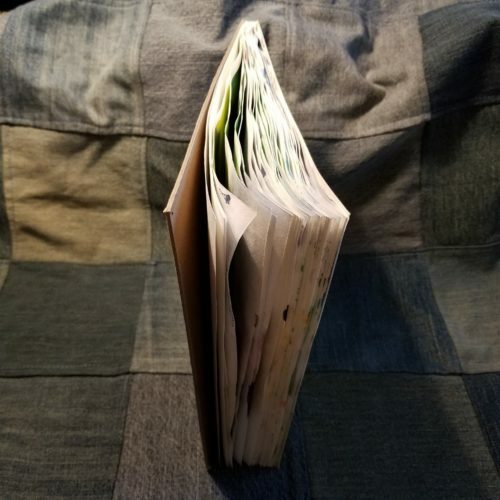 It does cockle and wrinkle as I use it, but it evens out as the page dries, resulting in a decently flat page at the end. 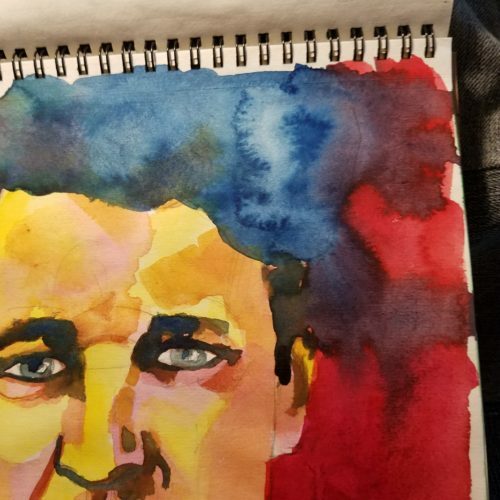 When overlaying and lifting a lot of color from the wet page the paper can pill a bit, but overall the paper handles the wet sloppy color I throw at it with ease. The bright white 80lb/130gsm paper is sized well enough that the color looks sharp on the page. Pencil layers onto the toothy paper to create light lights and deep darks. Pencil erases cleanly with little effort. Overall this is a great multimedia paper that is affordable. I want a journal made of this stuff. No links today. I picked this up with my own cash money. 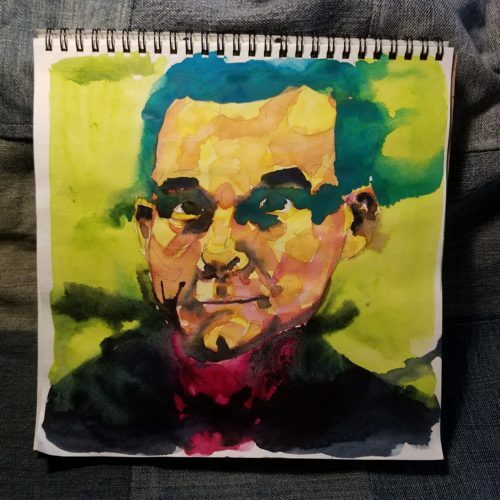 This entry was posted in Review on 20180719 by leslie.